Lawn Wizard Makes Your Lawn Green - You Add The Stripes! Don't Let Mr Mole Take Control! Our special licence allows us to use the safest of treatments not available to the general public. Children and pets are perfectly safe. Don’t let Mr Mole take control of your lawn. 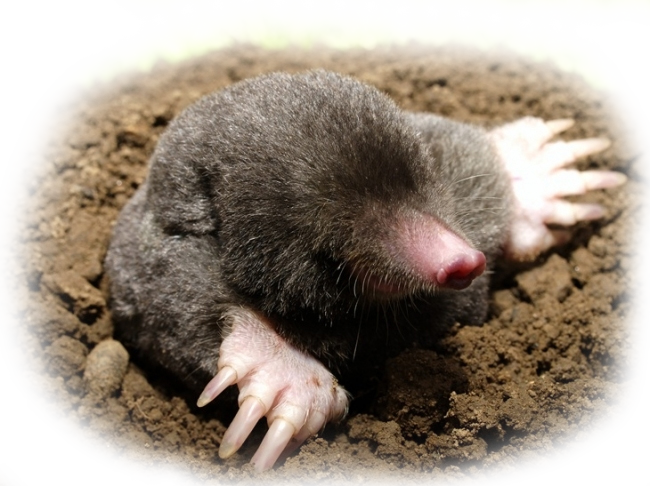 We have special methods to humanely remove moles from your precious lawn. Lawn pests come in many different forms. Some are on show like daisies and dandelions while others are well hidden from view. We can rid your lawn of everything unsightly – that means weeds and moss. Treating moss in the autumn can ensure a great lawn the following year. Dead thatch is the straw like grass that lies below the green growing grass and suffocates it. Our equipment can remove all that for a greener more lush lawn. Over time your lawn will get compacted and this prevents good growth. The solution is to aerate the lawn which we can do with our solid tyne machinery. Weeds? - We can handle it and you'll be surprised just how quickly! Lawn Wizard will take care of your lawn treatment all the year round and it can start at any time of the year. Many lawns are subject to moss and while it can be eradicated at any time of the year, lawn treatment in autumn is often a good time to deal with it. Nevertheless, spring is the most important time of the year for your lawn treatment which has been dormant for several months and will need lots of care and attention to develop into the thick, lush, healthy green lawn you want it to be! Even though it can still be a bit cold outside, right now is the time to start making arrangements to care for your lawn. Don’t have the time? …or know quite what to use, or what to do? Don’t worry… let Lawn Wizard take care of it for you! Lawn Wizard offer a 5 stage care package to make your lawn the envy of your neighbours. Spring moss control + feed & weed. ………and if your lawn is being dug up by moles then we can help there as well.